Samsung on Friday unveiled its new Galaxy J2 (2016) smartphone alongside the Galaxy J Max tablet in India. 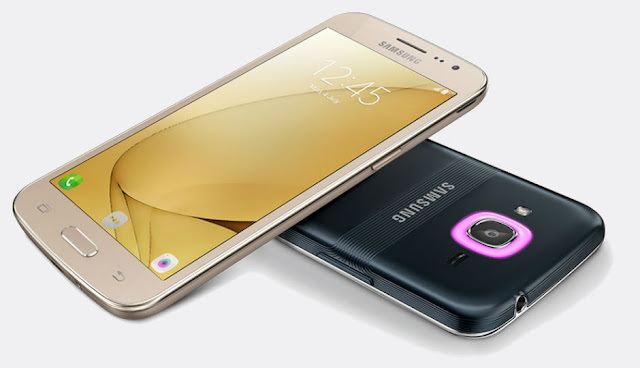 The Samsung Galaxy J2 (2016) has been priced at Rs. 9,750 and will be available to buy via online as well as offline retailers starting July 10. The smartphone will come in Black, Gold, and Silver colours. As promotional offer, Samsung is offering 6 months of free double data offer to Airtel prepaid customers worth Rs. 4,500. One of the biggest highlights of the new Galaxy J2 (2016) is its next-generation LED notification system which Samsung calls Smart Glow. The feature allows users to colour-code any contact, app, or phone usage alert. The new Smart Glow feature can be activated from the Quick panel. The Smart Glow can be utilised for three usage scenarios: for Priority alerts, Usage alerts, and Selfie Assist. The Samsung Galaxy J Max, meanwhile, features a huge 7-inch WXGA display with a resolution of 1280x800 pixels, and is powered by a 1.5GHz quad-core processor with 1.5GB of RAM. The phone sports a 4000mAh battery and runs on Android Lollipop. It is also equipped with 8MP and 2MP cameras, and supports VoLTE. Like the Galaxy J2 (2016), the J Max comes with S Bike and Ultra Data Saving modes. Further, those who purchase the Galaxy J Max will also receive a Samsung Bluetooth headset, as well as a one-year premium subscription to Viu, through which they will be able to access movies, TV shows and more.